I had never heard of a company called Havit before I got the chance to review this gaming mouse and as such I was a little skeptical of the quality of the mouse when I ordered it. I shouldnt have been skeptical in any way, a day later via Amazon prime 1 day delivery and the Havit Magic Eagle HV-MS672 Gaming Mouse was in my hands and I was plesently surprised. 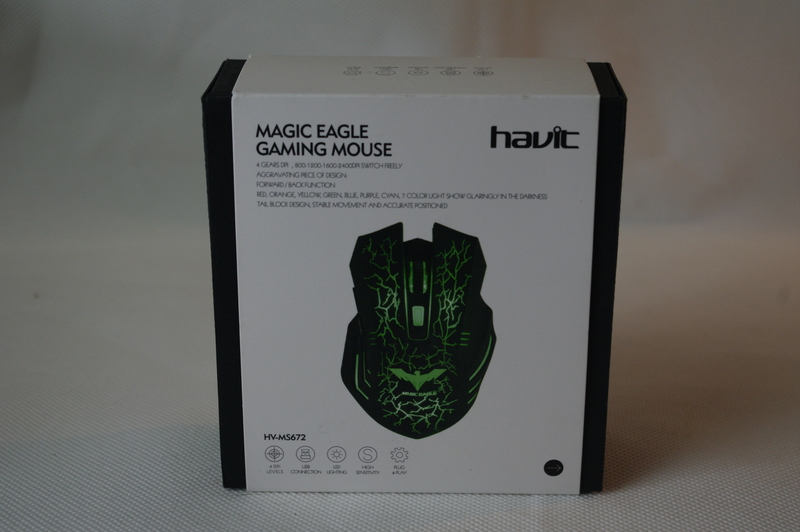 The Havit HV-MS-672 is nicknamed the Magic Eagle and arrived in this great looking presentation/display box which sports some of the key features of the mouse like its 4 stage DPI setting and its 7 colour changing LED's which emminate through the frosted plastic parts of the cover. The box and contents weigh in at 210 grams and contains the mouse and 2 leaflets, the instruction manual and warranty information. 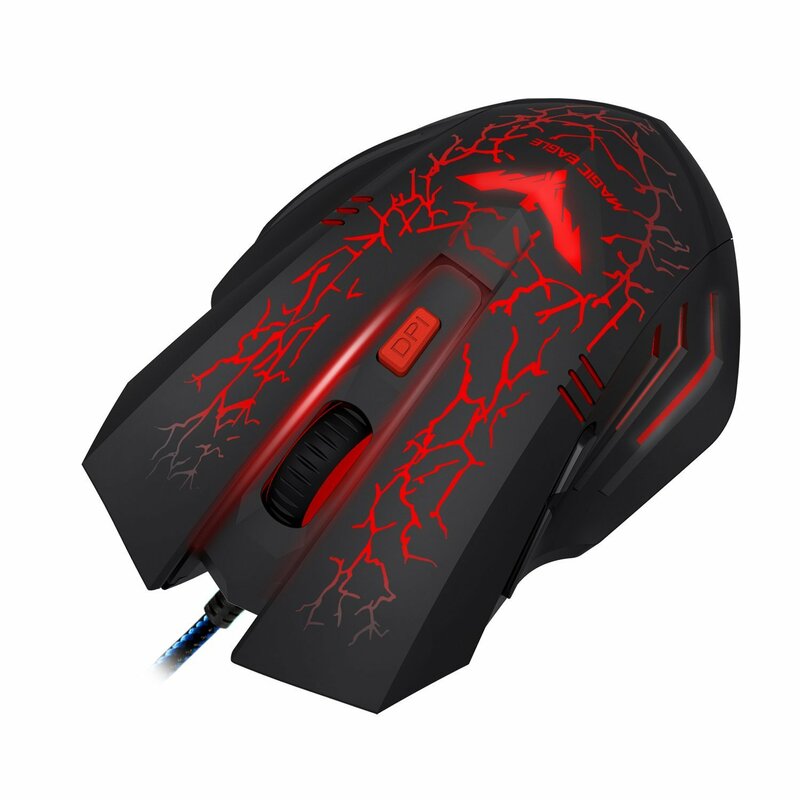 The Gaming Mouse is fairly large at just over 3 inches wide and 5 inches long so you will need big hands to use this thing. It also has 5 buttons and a scroll wheel that scrolls and clicks. First off there are the usual left and right click buttons and they hold their ususal function. Next the scroll wheel which scrolls as normal but can also be used as a button. Below this is the DPI button and you can use this to change the sensitivity of the mouse movements on the fly which is a godsend in some games. On the left hand side of the mouse are 2 smaller buttons which if right handed you would click with your thumb. These function as forward and reverse buttons but can be programmed in game for another purpose. The gem of these is that they can be used to navigate web pages forward and back. Whilst I say this is a gem, its also a flaw as I keep hitting them when moving the mouse so be warned, they do get annoying! Overall its a great looking mouse thats well built and well worth the tiny sum I paid. Check it out in the video below for more details and if you like the product you can see it on Amazon via oneof the links below. Specs: Wired USB 2 Gaming Mouse.